Pets Training & Boarding takes a look into skin cancer in dogs. With some great advice on how to prevent skin cancer in dogs when to seek veterinary advice. Dogs and cats are both susceptible to skin cancer. For some pet owners this can come as a bit of a shock as they sit sipping on their coffee watching their precious pooch bake themselves in the hot summer sun. It doesn’t help that our pets seem to reveal in the hot sun. With many dogs seeking out sunlight drenched areas of the home to bask the day away. However, it is good to remember that not all skin cancers are caused by the sun. Skin Cancer in dogs can be a real problem for some pet owners particularly with certain dog breeds and also pale skin and white coated dogs. 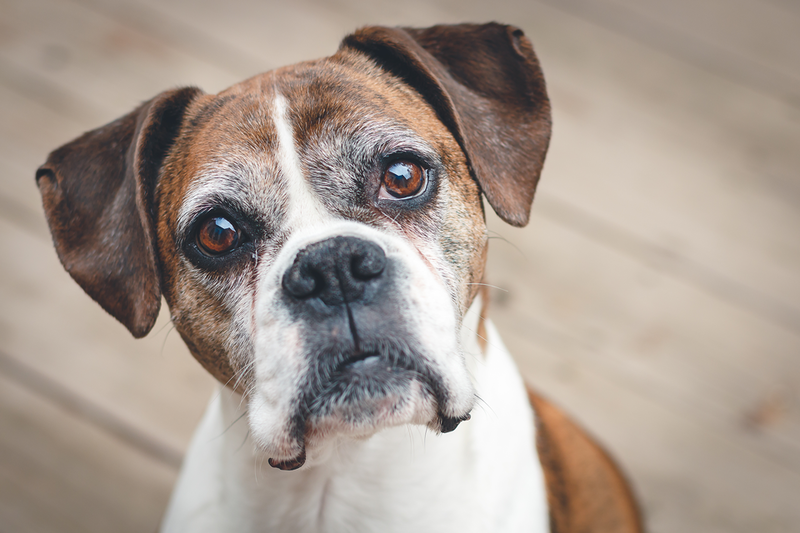 Older dogs are also much more at risk of developing skin cancer. The most common of malignant tumors is the mass cell tumor. 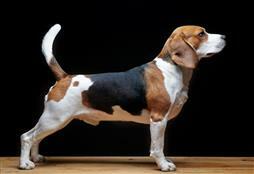 Certain breeds have also been linked to a higher incident of mass cell tumors. These include Labradors, Boxers, Pugs and Golden Retrievers. With all dogs, if you are concerned about a lump or a bump that will not heal easily. Getting a quick check up from your local veterinarian is the easiest way to ensure nothing sinister is going on. Like with humans, cancer in dogs is put into two categories being benign (non-cancerous) and malignant (cancerous). Malignant Melanoma – like in humans, this affects pigmented cells known as melanocytes. Most melanomas will occur on the parts of your dog’s body that does not contain hair – like the mouth, face or belly. This is a very nasty form of cancer and can quickly spread to the organs. Squamous Cell Carcinoma – this form of skin cancer is normally caused from too much exposure to the sun and will affect pale skin and coated breeds. These can be bigger tumours that have a reluctance to heal. These may be a raised white skin mass or bump on the skin and will often ulcerate in the middle with occasional bleeding. Not all diagnosis of skin cancer is fatal for you dog. Many times, if caught in time, and treated correctly, most dogs can make a full recovery from skin cancer. However, age and the overall health of your pet will determine their chances of recovery. It is also vital you seek veterinary treatment swiftly. If the cancer is not removed, diagnosed or treated quickly it can become fatal. Like with human cancers, dogs suffering from skin cancer can become very ill very quickly with the cancer spreading to other areas of the body. Keep pets with pale skin inside during the heat of the day. Ensure your dog has ample shady areas around the yard. Consider using specially designed pet sunscreens, particularly on tops of ears and areas with less fur. Use a pet sun-suit. If you introduce the use of these during puppyhood your dog can happily tolerate wearing one. Discourage your pet from sunbaking. Seek veterinary advice quickly for any unusual skin changes or conditions. Feed a healthy well-balanced diet. Yearly vet checks, especially important for older dogs. Examine your dog for lumps and bumps.